It was a cold winter day, the closest mountains were covered with fog and during the morning the sun was only visible for a few moments. 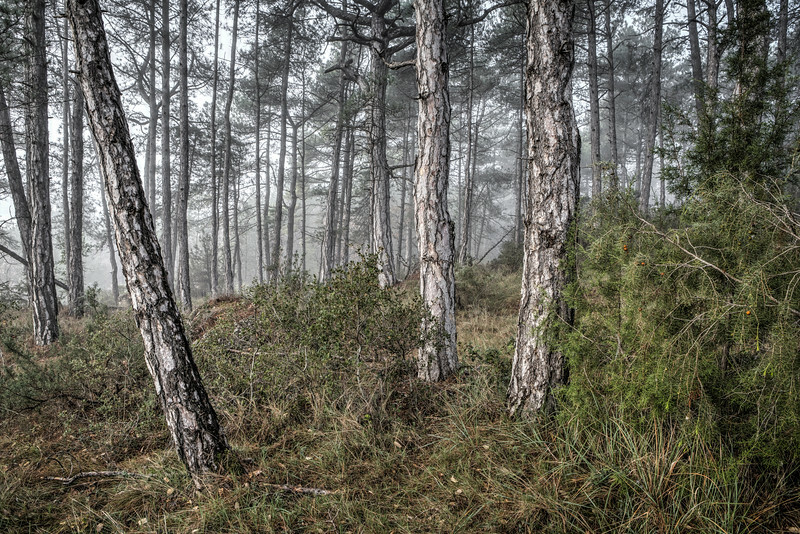 It was not the best day for landscape photography but with such weather I had a good opportunity to capture some moody photos of this pine tree forest. Do you like this photo? Get Your Print or download It as Free HD Wallpaper.